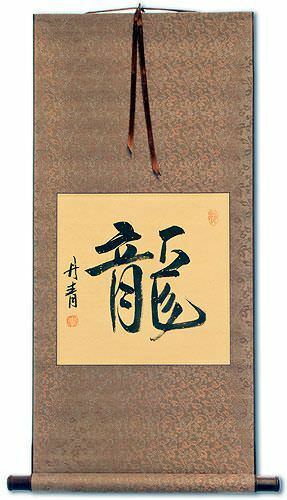 Buy a Pure Heart calligraphy wall scroll here! Not the results for pure heart that you were looking for? dāna 檀那; the sixth pāramitā, almsgiving, i. e. of goods, or the doctrine, with resultant benefits now and also hereafter in the forms of reincarnation, as neglect or refusal will produce the opposite consequences. 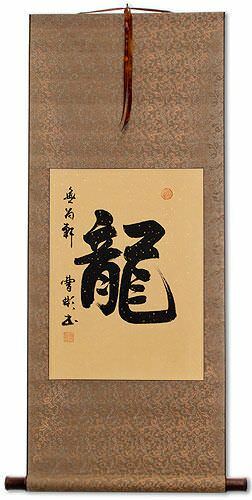 The 二種布施 two kinds of dāna are the pure, or unsullied charity, which looks for no reward here but only hereafter; and the sullied almsgiving whose object is personal benefit. The three kinds of dāna are goods, the doctrine, and courage, or fearlessness. The four kinds are pens to write the sutras, ink, the sutras themselves, and preaching. The five kinds are giving to those who have come from a distance, those who are going to a distance, the sick, the hungry, those wise in the doctrine. The seven kinds are giving to visitors, travellers, the sick, their nurses, monasteries, endowments for the sustenance of monks or nuns, and clothing and food according to season. The eight kinds are giving to those who come for aid, giving for fear (of evil), return for kindness received, anticipating gifts in return, continuing the parental example of giving, giving in hope of rebirth in a particular heaven, in hope of an honoured name, for the adornment of the heart and life. 倶舍論 18.
padmavimāna. Lotus-palace, the Pure Land of the saṃbhogakāya; also the eight-leaved lotus of the heart. Some people may refer to this entry as Pure Heart Kanji, Pure Heart Characters, Pure Heart in Mandarin Chinese, Pure Heart Characters, Pure Heart in Chinese Writing, Pure Heart in Japanese Writing, Pure Heart in Asian Writing, Pure Heart Ideograms, Chinese Pure Heart symbols, Pure Heart Hieroglyphics, Pure Heart Glyphs, Pure Heart in Chinese Letters, Pure Heart Hanzi, Pure Heart in Japanese Kanji, Pure Heart Pictograms, Pure Heart in the Chinese Written-Language, or Pure Heart in the Japanese Written-Language. 59 people have searched for Pure Heart in Chinese or Japanese in the past year.